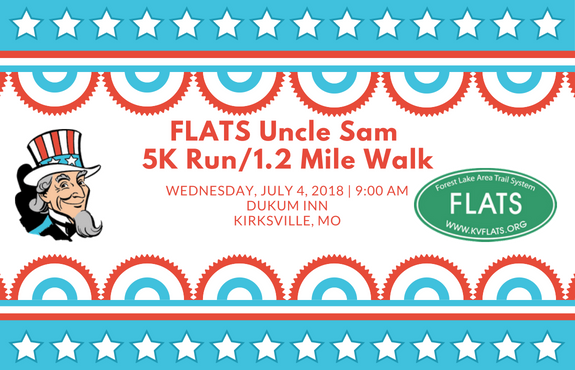 Help build the Forest Lake Area Trail System this July 4th by running the FLATS Uncle Sam 5k or walking the 1.2 mile course! 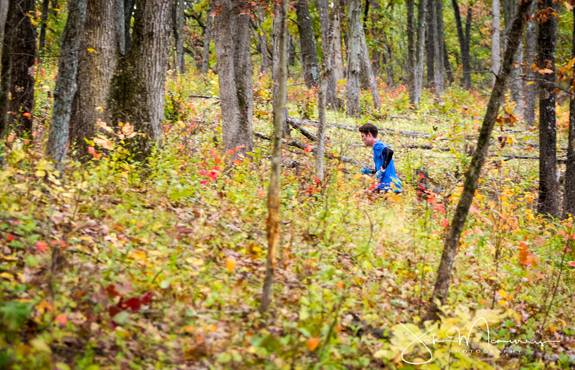 Register now for the 8th Annual FLATS Trail Half Marathon on Saturday, October 6, 2018 at Thousand Hills State Park. 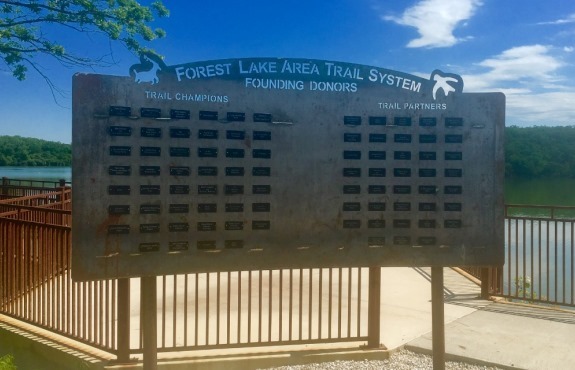 We're excited to announce that we've installed the sign thanking the Founding Donors of the Forest Lake Area Trail System at the FLATS Phase 1 Trail Head! The Forest Lake Area Trail System (FLATS), an all-volunteer community organization, was formed in April 2009 to support the development, use, and maintenance of trails in Adair County. Our goal is to construct a 4-mile, paved multi-use trail system connecting Thousand Hills State Park and the City of Kirksville, Missouri. Construction of Phase 3.1, a .7 mile section running west from the corner of Osteopathy and Missouri Streets through a beautiful wooded area, will begin in 2018 and has been funded by a Recreational Trails Program Grant. Missouri State Parks have developed a concept plan for Phase 2, which will connect Campground #1 and Campground #2. The first phase of the trail, an eight-foot wide concrete path between Campground #2 and the Marina in Thousand Hills State Park, was completed in December 2015. Kirksville’s proximity to Thousand Hills State Park is an untapped resource. The Forest Lake Area Trail System will provide northeast Missouri residents and businesses with an economic boost and contribute to our overall quality of life. Users of the Forest Lake Area Trail System will be able to walk, hike, camp, boat, bike, swim, fish, picnic and simply enjoy the outdoors. This trail will be a resource for visitors and residents for generations to come. Trails promote health and wellness, reduce health care costs, raise property values, and improve quality of life, making communities more attractive for businesses and enjoyable for residents. Please see our FAQ for more information about the benefits of this trail. Who Is Involved with FLATS? The Forest Lake Area Trail System (FLATS) was formed by a group of citizens who volunteer their time and/or money to make this project a reality. FLATS became an independent 501(c)(3) charitable organization and elected its first Board of Directors in 2016. We are working closely with the Missouri Department of Natural Resources, Thousand Hills State Park, the City of Kirksville, Adair County, area service organizations, the National Park Service, and the Kirksville community to develop this trail so that it meets the needs of all residents.